Providing you the best range of carpet dryer, sgt pr 501 single disc machine, single disc machine floor brush, single disk scrubbing machine, single disc machine and foam generator with effective & timely delivery. 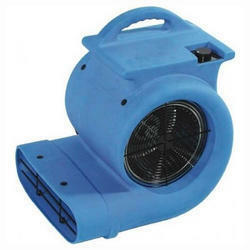 Super fan turbo motor can produce strong airflow with low noise to improve the work efficiency. SGT PR511 - High speed motor with three speed levels - Low, Medium, High. These machines are designed for deep cleaning on all types of floors (Marble, Mosaic, Granite, RCC, Vinyl, Carpet & etc.). 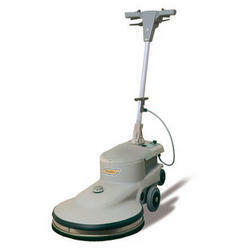 Four Functions - Washing Floor, Washing Carpet, Polishing & low speed burnishing. Specially designed handle with grip for comfort and safer (safety switch for automatic OFF on unavoidable situations). Adjustable handle - for different height adjustments, as required by the user. Works by Gears and equipped with two capacitors for safer and more powerful. 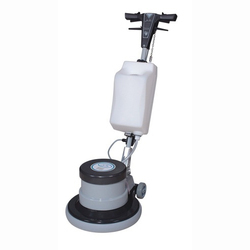 These machines can work with an attachment of foam generator (PR510) for less density of water in carpet washing and to dry the carpet quickly. Teflon wheels - for longer life and also for easy movement, after job is over. Base rubber beading for avoiding damages. 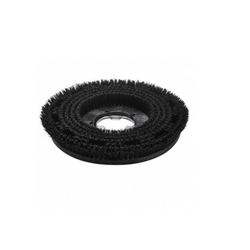 Available floor brush, carpet brush, pad drive, pads (red, white, black) burnishing pad, Velcro drive board (grip pad drive), Grid pads. The products offered by us comprise Floor Brush that are made using high quality raw material procured from reliable vendors. There is a widespread demand for these in industries like machinery, paper, textile and dairy. Our products are appreciated for their durability, impeccable quality, customization and high performance. We are offering Single Disk Scrubbing Machine, which is designed at our vendors' premises using qualitative components. Our quality controllers test this machine on different parameters so as to ensure its excellent floor cleaning capability. 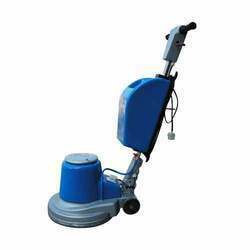 Offered Floor Cleaning Machine is convenient in operations, light in weight and highly suitable for applications in domestic as well as commercial premises. We provide this product at market leading price range and ensure timely delivery at the clients' premises using easy modes of shipment. Super-large Power the air-filled motor, double capacitor configuration, work more safe and reliable, strong power output, carpet cleaning, floor, polishing wax, low speed, and other functions in one. Accessories: main body, handle, water tank, pad holder, hard brush, soft brush. 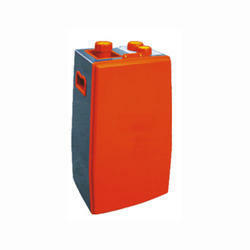 Dry Foam Generator is used with Carpet Washing Machine (SGT PR 501/501W/501D/501S) for producing lighter and plentiful foam, from the diluted carpet cleanser. The foam generated from these device can be dried very easily and quickly, than with the normal water cleaning of carpet. 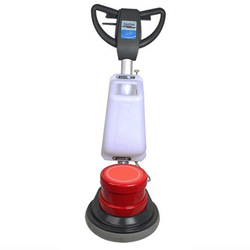 High speed polisher is very easy to operate and has different angles of handle adjustment. It works with a speed of 1500RPM for which the result is quick with an effective cost.Two capacitors and a built-in fan cooling motor with great power are installed inside the machine, which is adjustable to any kinds of floors. The machine can move with freedom for a perfectly spotless with lower maintenance, while achieving a high gloss surface. We are offering ES 43 DUO Single Disc Machine to our clients. Looking for Floor Cleaning Machine ?